Today’s episode features vision-led facilitator and coach Andréa Ranae Johnson. Andréa believes that together, we rise. She is deeply committed to doing her part in cultivating a world that works for everyone and does so by placing her work at the intersections of personal growth, social justice and conscious business. As the creator of Coaching as Activism, she supports people doing transformative work to deepen their impact by taking a critical look at how their work and lives are connected to social change. As the co-founder of Whole / Self Liberation, she offers and uplifts practical tools, resources and wisdom for those who want to make change happen in their lives and communities. As a coach and consultant, she works with entrepreneurs, businesses and organizations that want to be more inclusive and impactful do so through their approach to leadership, their marketing and their company culture. She’s a huge fan of #blackgirlmagic, sunsets and veggie burritos. 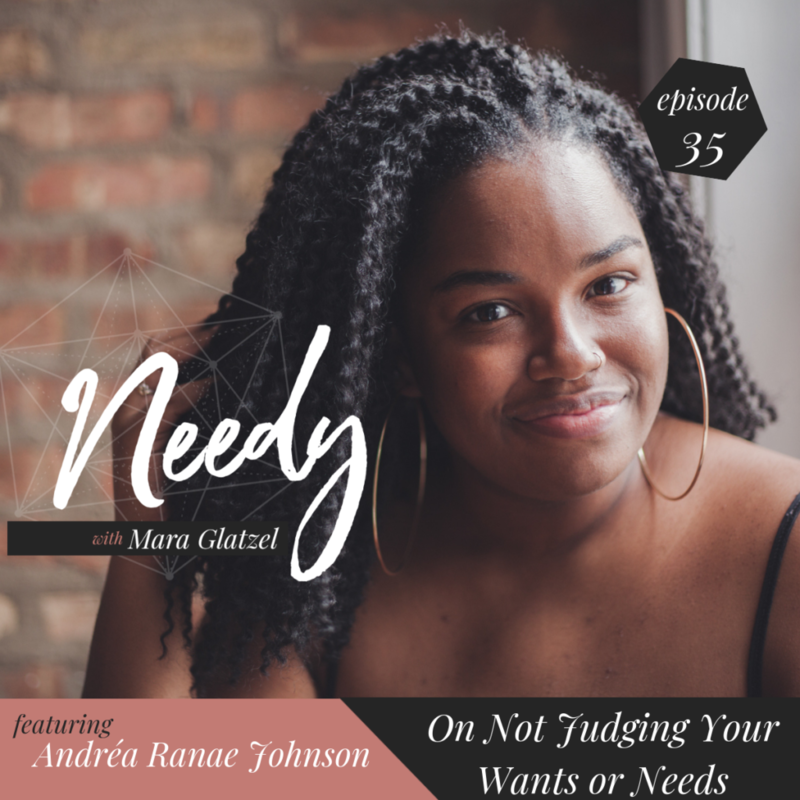 In today’s episode, Andréa discusses the pleasure inherent in feeling ALL of your feelings, boundaries and consent in business and life, and the true freedom of not judging yourself for what you want and need. I had an opportunity to ask her about how she nourishes herself while also showing up fully and consistently in service to her community, which, quite frankly, I have always wanted to know! In the midst of a lot of laughter and an amateur exploration of human design, we dove into what it really means to show up and invite the fullest expression of yourself into your life.